John Mulaney is a funny man. One of the few special people on this earth that have been able to eke out a living as a comedian. He knew from a young age that he wanted to entertain and every move that he took brought him to the fame and fortune that are found in comedy. To learn more about the comedian, who may have made you laugh in the past, read on. John Mulaney was born on the 26th of August 1982 in the city of Chicago in Illinois. His parents, a law professor named Ellen Stanton and an attorney named Charles W. Mulaney, came from an ancestry that was part Irish. He grew up in a Catholic home with his three siblings, and would from an early age watch Ricky Ricardo on I Love Lucy, and fall in love with show business. John later got an opportunity when he was only 7 years old to audition for the character of Kevin in the hilarious Home Alone film. His parents were however sceptical and declined. Mulaney, therefore had a more traditional upbringing going to St. Clement School for junior high. Still, the budding comedian found a way to make school work for him. In place of reports, he would get together with his best friend named John O’Brien, and the two would perform skits about what they had learned in school. He was also a frequent visitor to the Museum of Broadcast Communications which allowed him to watch archived episodes of the shows he loved. The would-be comedian graduated from St. Ignatius Colleg Prep in the year 2000 and then went to the university his parents had attended – Georgetown University – to study English Literature and Religion. At Georgetown, he joined an improv group, which had Nick Kroll and Mike Birbiglia as members, and after they had connected in the group, he would later join Birbiglia to do stand-up tours that helped him get better on his stagecraft. Following his graduation, John Mulaney moved to New York and got hired as a Comedy Central office assistant. He stayed on for a year before pitching the idea for I Love the ’30s as a parody of the I Love the ’80s. He developed the show with his old friend from improv Nick Kroll. Soon Mulaney landed a gig on Saturday Night Live, began contributing to other projects on TV like Documentary Now!, and the Comedy Central Roast of James Franco. John Mulaney soon ventured into acting showing up in a supporting actor capacity in such shows as Difficult People and Crashing. In 2018, John Mulaney does voice work for the lead character on the Netflix animated series Big Mouth which Nick Kroll co-created. It was also announced in the same year that he would voice the character of Spider-Ham in Spider-Man: Into the Spider-Verse animated film. Who is John Mulaney’s Wife – Annamarie Tendler? See Also: Louis C.K. Wiki, Net Worth, Wife and Kids, What is He Doing Now? 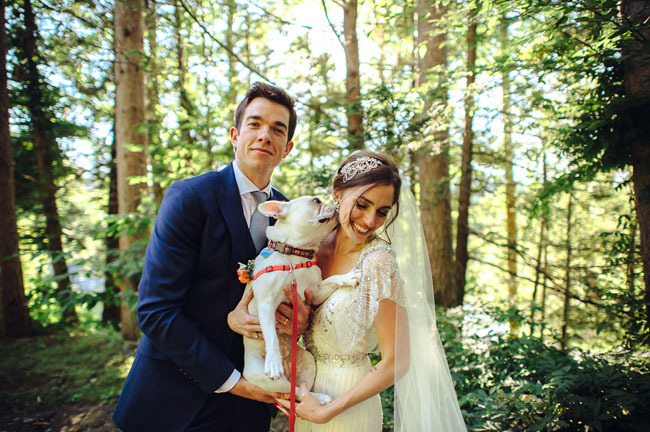 Mulaney’s wife has also worked on some television series as a makeup artist and stylist and she owns her own small business known as Silk Parlor where she makes and sells hand-crafted Victorian-style lampshades. The two were married on the 5th of July 2014 at the Onteora Mountain House in Boiceville, New York. John Mulaney has worked on Saturday Night Life, has numerous writing credits for shows to his name and still does stand up comedy and tours. It is no surprise therefore that he has an estimated net worth of $3 million and will probably continue smiling to the bank for a long long time. John Mulaney once had a drinking problem and has sworn off drinks completely going forward. He has a very extensive career in stand-up comedy and has performed at Jimmy Kimmel Live, and Comedy Central Presents. He also released stand-up comedy albums in 2009 and 2012 respectively. John Mulaney has been nominated for a Primetime Emmy in the category of Outstanding Writing for a Variety Series with the SNL writing staff from 2009–2012. Alongside Justin Timberlake, Seth Meyers and Katreese Barnes, he won a Primetime Emmy in the category of Outstanding Original Music and Lyrics at the 63rd Primetime Emmy Awards. He is the third Saturday Night Live writer to host Saturday Night Live without a promotion to cast member.